Having proved their mettle in almost every sphere, women are valuable partners and contributors to the success of the corporate world. Thus as the employers of tomorrow, it is quintessential for the management students to let women raise their voices, address their concerns and prevent workplace harassments so that they can continue being the participants of success. To sensitize the students of IIM Amritsar, a workshop on Prevention of Sexual Harassment was conducted by Ms. Amarpreet Kaur (Partner, Performance & Culture, HRhelpdesk). In a highly interactive session, Ms. Amarpreet Kaur asked the students to define harassment. She brought in a few examples to define the contours of harassment, the different forms in which it pervades like Verbal, Visual and Physical. Also, Ms. Amarpreet exemplified the point and brought out that how workplace harassment exists in bullying, coercion and threatening. The scope of the workshop was then narrowed to the Sexual Harassment faced by women, the internal system of grievance registration and processing, and the role of the law in protecting women and the Fundamental Rights against such abuse. The workshop stressed on the fact that despite the employees being trained on POSH, many cases of such employees are brought into the forefront. It also emphasized on the fact that such employees often use Quid Pro Quo techniques to gain some sexual favors in lieu of some incentives, or by threatening the women by creating a Hostile Environment, in which, using the influence of their power and the strength of the nexus they have in the industry, they cause much social, mental and psychological distress to women. With the help of a case study, Ms. Amarpreet Kaur brought to light, perhaps the paramount issue in such cases. Most of the times women, despite being fully empowered, get confused in understanding whether a behavior comes under harassment, as they fail to identify the inappropriate gestures and activities under the veil of Cultures and Sub Cultures. With the help of the case, she also helped the students identify the different activities viz. Direct such as Cat Calling, Patting, Teasing, Prolonged Staring etc. or Indirect like speaking something or passing a general remark in the vicinity of a woman which might make her uncomfortable. Ultimately, Ms. Amarpreet Kaur asked the students to first decide by themselves that in what cases the woman can file for a complaint, where she can go and file a complaint, who all can be held culpable as the accused in the complaint, and when she can go and seek the help of law. With this case, she illustrated that many socially and culturally accepted norms do support the unfortunate presence of such cases in thousands, and it is a very real issue faced by the corporates that can ultimately led to the violation of rights and well-being of such employees. 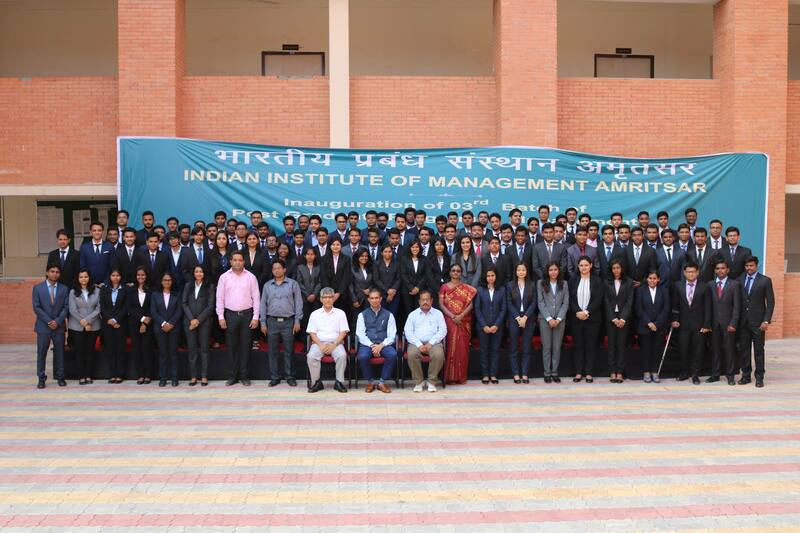 Thus, she exhorted the IIM Amritsar students to take the appropriate step in order to protect the women, and ensure women are protected under any such bias or discrimination.